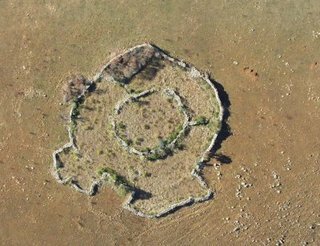 When historians first stumbled upon these structures they simply assumed that they were cattle kraal left behind by the Bantu people as they moved south and settled the land from around the 13th century. 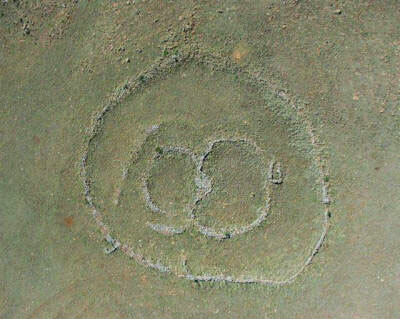 But research work done by people like Cyril Hromnik, Richard Wade, Johan Heine and a handful of others over the past twenty years, into ancient southern African history, has revealed that these stone structures are in fact more than just cattle kraal, but the remains of ancient temples and astronomical observatories of lost ancient civilizations that stretch back for thousands of years. These circular ruins are spread over thousands of square kilometers. 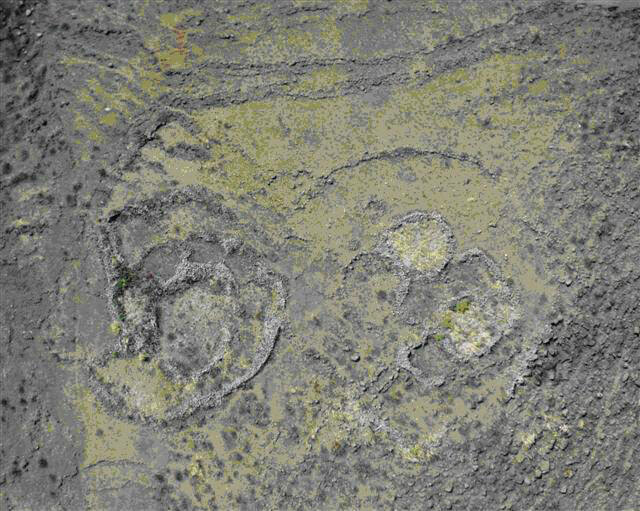 They can only truly be appreciated from the air, and those lucky enough to view these ruins from the air will be able to see hundreds of ruins in a one-hour trip. 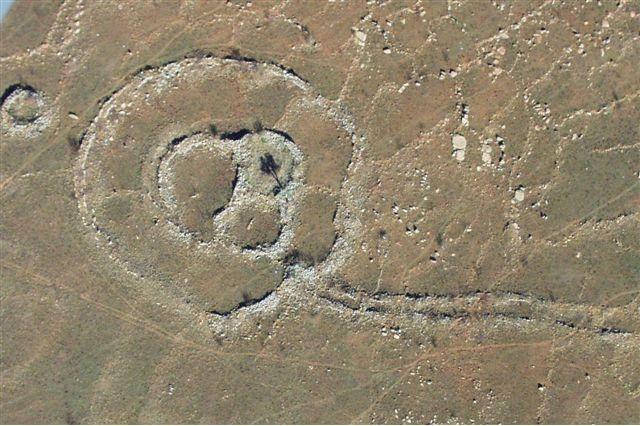 Many of them have almost completely eroded or have been covered by the movement of soil, while some have survived and still display the great sizes of the original walls that stand 2,5 meters high and over a meter wide in places. Prof Guy Charlesworth of Wits University concurs that if these were the original heights of some of the walls, it would have taken thousands of years to erode to knee-height through the effects of nature alone. An ancient road structure that is still visible for hundreds of kilometers once connected most or all of these ruins. 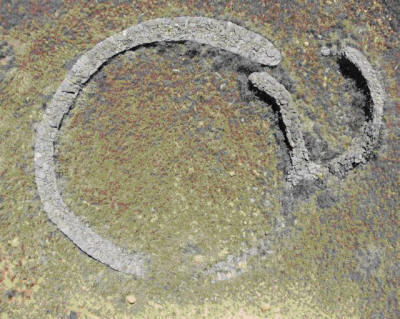 It becomes evident that this was no accidental settlement but a well planned and evolved civilization that were mining gold and had some means of transport. Extended agricultural terraces are spread over large areas, often resembling scenes from the Inca settlements in Peru. This would suggest that these people had a good knowledge of agriculture and planted produce extensively. 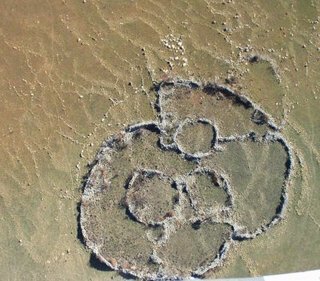 There is no real count or audit of these ruins at present, but it is estimated by those who have been flying over them for many years that there must be around 20,000 structures scattered all over southern and east Africa. Many of the circular structures are aligned to specific geographic points including solstices and equinoxes. But only when Johan Heine began to experiment with other possible encoded geometry, that the real hidden secrets of the ruins began to emerge. They are riddled with sacred geometry, Reiki symbolism and the Phi factor or golden ratio of 1,618. 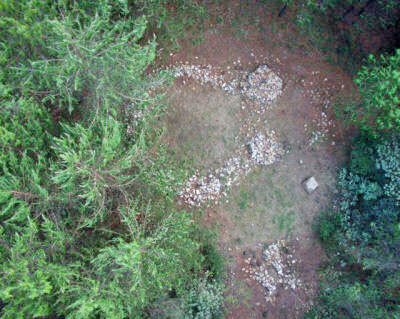 The discovery of the ancient stone calendar site by Johan Heine (Adam’s Calendar) in among all these stone dwellings and temples, would suggest that some of the structures would date back to the same era as the calendar some 75,000 years ago. It shows us with a certain level of clarity that these lost civilizations have been around for much longer than anyone could ever have imagined. 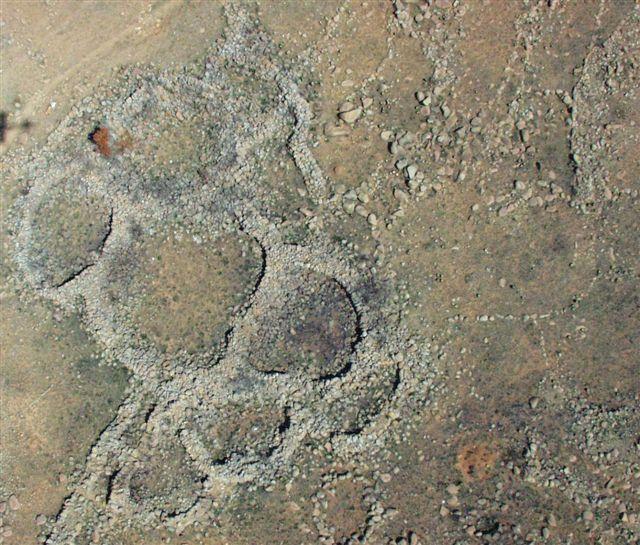 It would not be absurd to then suggest that we may be staring at the very first concentrated human settlements inhabited by the early Homo sapiens. Human history on Earth cannot be separated from gold. Since the earliest of times, humans have been obsessed with gold and have been mining it in all kinds of ways. Even God, as early as Genesis 2, displays his own obsession with gold when he talks about the garden of Eden where there was gold. There are at least 2000 ancient gold mines scattered throughout Southern Africa, in close proximity to the ruins. Many speculations have been thrown about by all and sundry about the Land of Ophir, its location and the whereabouts of Queen Sheba. Most of these speculations tend to point to southern Africa as its most likely location. And why not? This is after all the place where most of the gold in the world has been mined in modern history, and it was no different in ancient times. Is it a coincidence that the richest gold mine in the world today, Sheba Gold Mine, is located right here in Mpumalanga, South Africa? Could these ancient settlements actually be the lost kingdom of Queen Sheba and the mines that provided King Solomon with all his riches? A dramatic view of Adam’s Calendar showing the carved edge of the front stone. These stones were most likely brought here from about 2 -5 kilometers away and placed into position. It seems the front stone was positioned so that the right edge caught the setting sun in the summer months. After this the left edge was carved to the exact point so that it would cast a shadow on the flat calendar rock during the winter months. 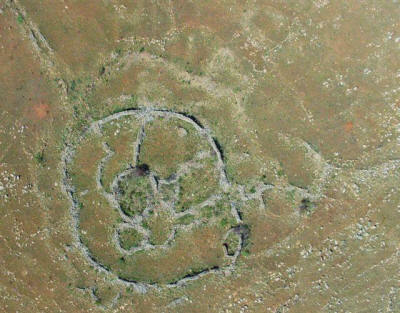 This ruin has become the subject of much research and measurement by John Heine. 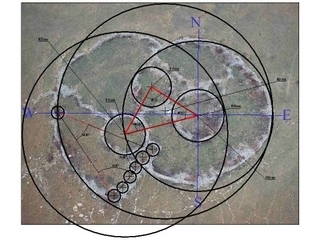 There are multiple alignments with the cardinal geographical points. The perfect hexagon is formed by inserting the length of the flattened edge across the top right side into the circle. 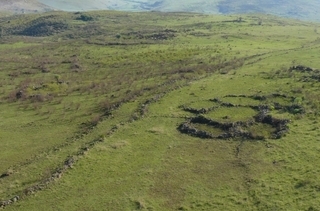 Notice the completely eroded and ruined walls and structures around the site that possibly indicate this was originally a much older structure that was rebuilt or maintained after the other structures around it became obsolete. When viewed from certain angles some distance away, the completely eroded remains of a much larger complex settlement is clearly visible. This is a well known symbol of fertility in Hindu culture. There is much evidence that there was an abundance of Hindu, Chinese and Arabic gold miners trading with the east as far back as 2000 BC or even earlier. The question that needs to be asked is: Is it possible that all these symbols originated in Africa with the early humans and get dispersed around the globe, only to return back thousands of years later as adapted by their newly civilized custodians? 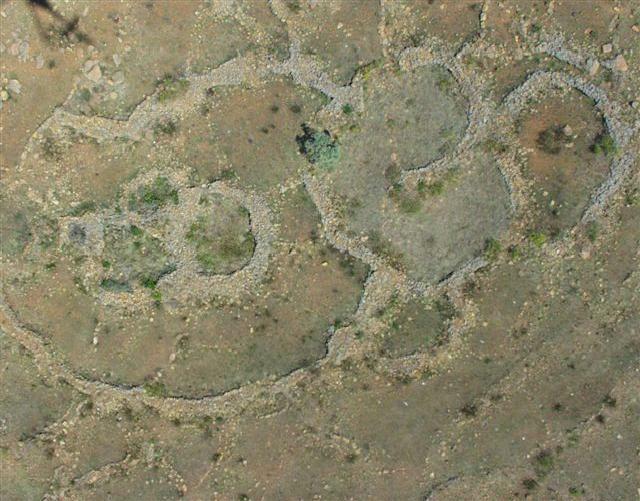 The more research done around these magnificent ruins, the more it seems that much of the basic stone building styles and architecture also originated here in southern Africa along with the early humans. The similarities can be seen all over the world. The badly eroded ruins are linked by ancient roads that run for hundreds of kilometers when added up. What did they need roads for? 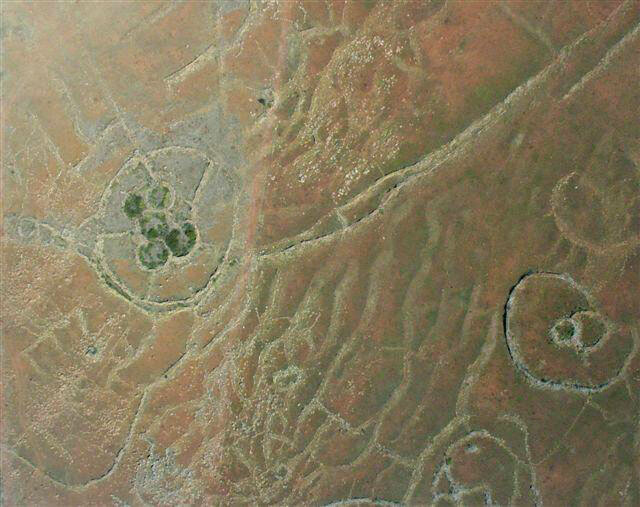 Seeing these magnificent ruined structures from the air, forces us to reconsider the size of the ancient population that lived in these part of southern Africa thousands of years ago. While some walls have remained, many of the lesser walls of the larger extended settlement have eroded to the ground. But the complexity and size of the original expanse is still clearly visible. Unfortunately this effect is completely lost to visitors on the ground and from my own experience you would not even know that you are in the centre of such a complex at ground level. 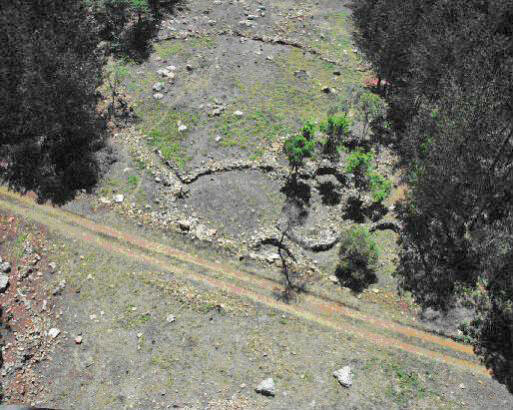 This has caused much destruction by developers, landowners and forestry, mostly due to ignorance and disinformation from esteemed academics who have claimed that these ruins are just cattle kraal, of no historic importance. Thousands of impressive ruins like this one have been destroyed by forestry over the last century. 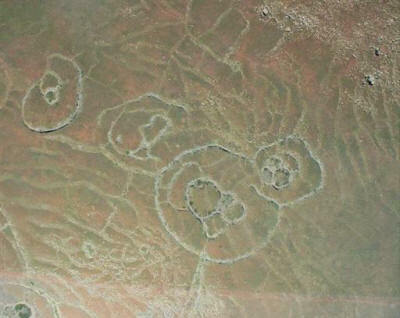 Here they put a road right through the ruin, pushing aside some huge monoliths that were arranged in the middle. The purpose and its original layout will never be known. It is however encouraging that SAPPI, a forestry giant in southern Africa has acknowledged the significance of these ruins and has begun a program to maintain and preserve some of the ruins on their land. One of the most perplexing things about these ruins is the size of the population that they must have housed. 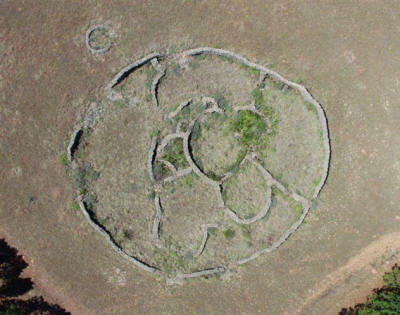 The settlement of southern Africa by the Bantu people only started in the 13th century and took several centuries before there were any substantial numbers of African settlers from the north here in the southern part. Anthropologists claim that the influx of Bantu settlers from the north happened in very small groups, the largest being no more that 300 people. At the time of the South African War (Boer War) there were no more than 800 black settlers from north and east Africa who over time became known by the names we call them today. And yet there are thousands of ruins dating back thousands of years suggesting there must have been a population of between 200,000 and 600,000 people living here long before we previously imagined. This is now certainly playing havoc with many academic minds since they have never before been asked to stretch their imagination this far back in time to actual human activity. This is a famous ruin near Waterval Boven, Mpumalanga. Dr. Cyril Hromnik has done much research in this area showing the presence of Asian/Indian/Dravidian gold miners here some 2000 years ago or even further back in time. The strong walls would suggest a very specific and serious reason for its size. Just like many ancient ruins these also get covered by the sands of time. 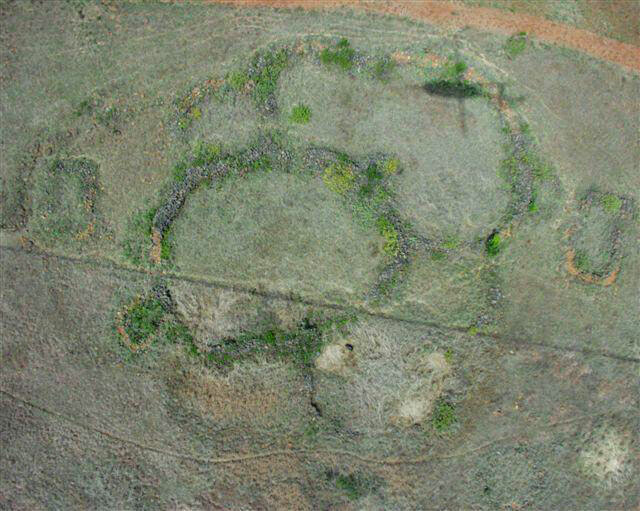 Even from a helicopter some ruins are hard to see as the thick grass and bush overgrows the walls. A great example of a ruin with high walls at the top of a mountain. A recognizable horseshoe shape ruin with pillars at its entrance lies in among the forestry trees. 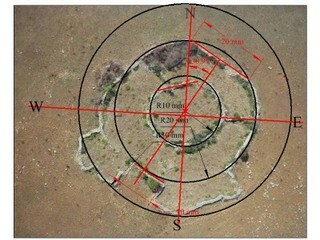 The boundaries that make up the larger ruins which surrounds this feature are not visible in this picture. 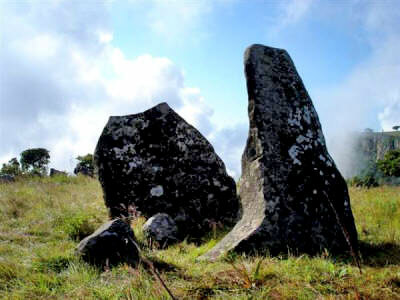 Large boulder monoliths are often found scattered in close proximity. 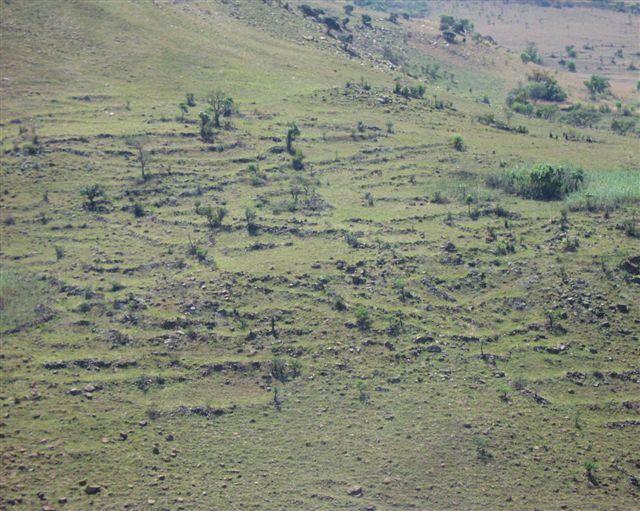 Agricultural and grazing terraces lie scattered across endless mountain sides in southern Africa. From studies of indicator species and erosion, we have established that some are more than 5000 years old while others are much older. 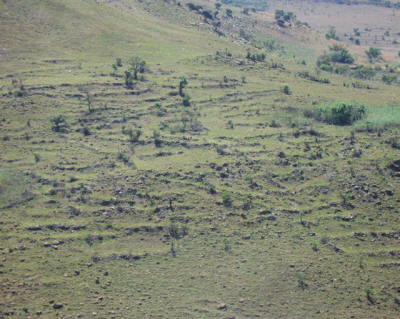 Just in the area of Waterval Boven I have personally calculated that these terraces run for more than 50 kilometers. 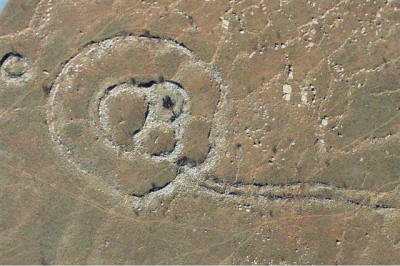 This would suggest that there was a very large population living here in antiquity who needed to be fed. Long before agriculture took root in the rest of the world. Who were they? The roads and passage ways that link many of the ruins would suggest that the occupants may have needed protection while moving from one to the other. 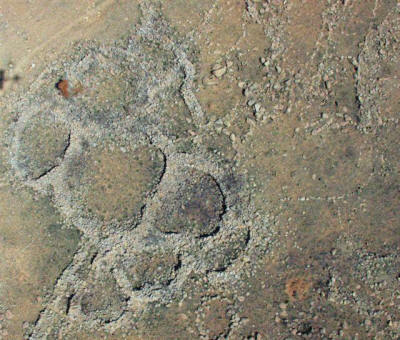 We can only imagine the kind of wildlife that existed here some 75,000 years ago. 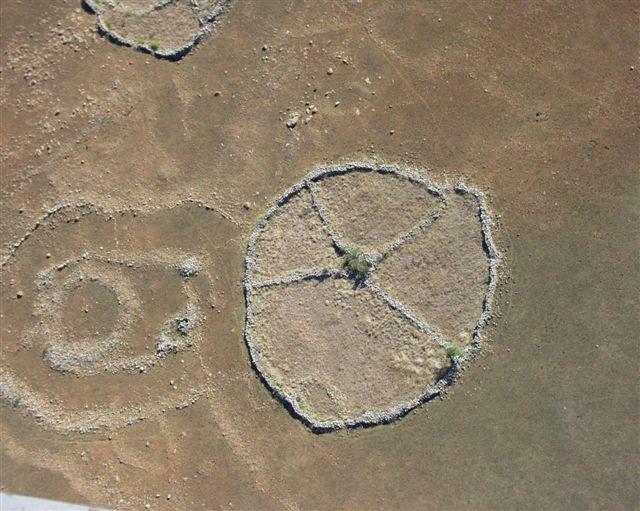 This is one of the most puzzling ruins we have found to date. 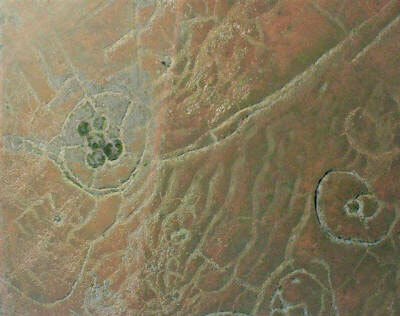 Its structural precision and complexity boggles the mind and its purpose remains a mystery. We do however speculate that it was a ceremonial and possibly a sacrificial site. We find interesting symbolisms worked into many ruins. The figure 8 or infinity yin yang comes to mind in this example. The walls of this ruin are way over a meter wide. The scale of destruction and deterioration are an indication of its possible age.